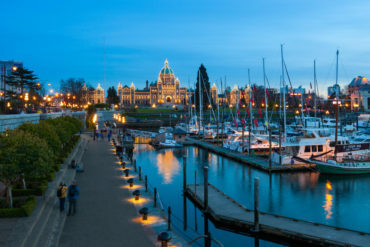 VICTORIA – A review of legal cases involving British Columbia’s public insurer says despite public perception, the agency isn’t lowballing claimants in its settlement offers. The review conducted by legal counsel in the Ministry of the Attorney General was released Wednesday and says the Insurance Corporation of British Columbia is running a “very sound” legal department. It says the cases reviewed do not validate “whatsoever” longtime criticism that ICBC makes inappropriately low settlement offers with the effect of driving claimants to retain lawyers and then unnecessarily pushing lawsuits to trial. Instead, the review says the longer a claim takes to reach a resolution, the more it costs, and it blames the difficulty of getting prompt trial dates and loose deadlines for filing court material as factors. The review recommends compelling claimants to give more in-depth descriptions of their claims before they launch lawsuits and shortening the limitation period to 18 months for an action to begin. It also recommends implementing a roster of independent, qualified medical experts as a source of objective assessment for soft-tissue injuries like whiplash. The review was conducted using aggregate data, as well as 100 randomly selected claims files closed between 2013 and 2017, ranging from minor injury claims to catastrophic ones. It was done after ICBC saw significant increases in motor vehicle accidents, as well as jumps in the number and severity of claims, the number of claims involving litigation and higher costs from them over the past six years.